We are pleased to announce that Peggy Strand of the MN POST Board has been selected as the 2018 Hall of Fame Recipient. Peggy was nominated by several professionals who know of her work. Nominators included Nate Gove, current Executive Director of the MN POST Board, Neil Melton, Past Executive Director of POST and Ken Wilkening, Sheriff of Nobles County Sheriff’s Office and past Chair of POST Training Committee. A recap of the various nominations is included below. Peggy has been an integral part of law enforcement training and standards in our state for over 30 years. 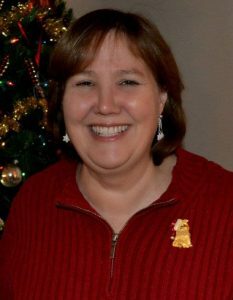 As the pre-­service education on coordinator at POST , Peggy has been involved in many important projects concerning the education and training of Minnesota peace officers. Peggy’s commitment and expertise are evident as she coordinates and completes a multiple important projects on behalf of the POST Board. Specifically, Peggy completed a total rewrite of the boar d’ s learning objectives for pre-service peace officer education and training that resulted in approximately 700 learning objectives from which colleges and universities build professional peace officer education curriculum . These learning objectives had not been significantly altered in approximately 20 years. In the early summer of 2017, Peggy was given the responsibility to facilitate focus groups and write the learning objectives for the mandated training topics the legislature passed as part of the peace officer training bill. The learning objectives were presented to our board and published in January of 2018 meeting a tight board timeline after the bill took effect . Finally, Peggy’s commitment to public service and the law enforcement profession is evidenced by her long tenure at POST and her involvement in many aspects of peace officer education and training. It is my hope the A.T.O.M Board will recognize Peggy Strand’ s contributions by inducting her into your Hall of Fame. NOTE: Peggy will be recognized during the February 26-27, 2019 ATOM Winter Conference, at a lunch on the 27th. If you are interested in attending the luncheon ONLY at $25/person, contact Darlyne Erickson at 952-922-2324 or email info@mnpolicetraining.org. Luncheon is included in the overall conference registration.